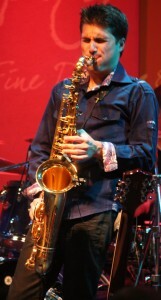 Vincent Ingala showing off his saxophone prowess during a recent show. ©Michael Hixon. 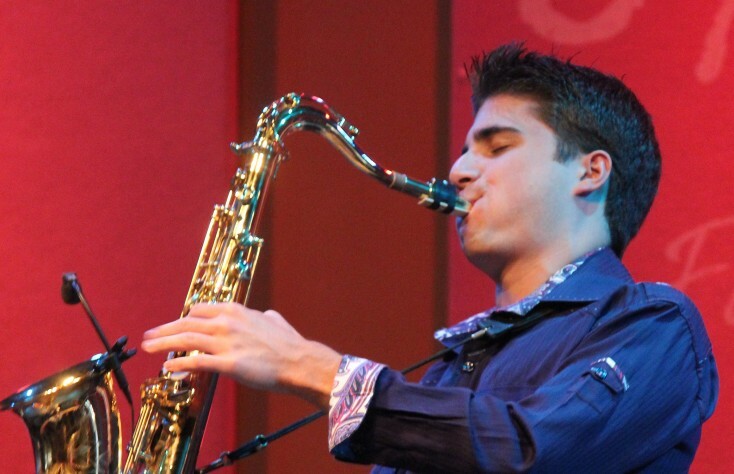 HOLLYWOOD—Saxophonist Vincent Ingala hasn’t even reached his 21st birthday, but he already has released two hit albums and a No. 1 single on the Billboard charts, while performing with some of the top jazz musicians in the country. Ingala, who recently toured with Marion Meadows and Paul Taylor for their Sax in the City Tour, is still on the road. He will join the Dave Koz & Friends Mediterranean cruise beginning Sept. 22. Then he will performing at the Catalina Island Jazz Trax Festival on Oct. 4, followed by shows in Denver on Oct. 11, back to Catalina on Oct. 12 and onto Chicago on Oct. 26. Ingala’s second album “Can’t Stop Now,” which includes seven original compositions, was released in 2012. Two songs from the album made the top five on the Billboard charts with the title song reaching No. 1 for four weeks. The title song is a tribute to the young musician’s father, who was a DJ during the disco era. Ingala, who also sings, seems to be born with an affinity for instruments. Surprisingly, the saxophone wasn’t his first instrument of choice. His parents bought him his first drum kit when he was four, and drums are still his favorite instrument. He also leaned to play the guitar at a very young age. Specifically, Ingala was attracted to the tenor sax. “North End Soul,” Ingala’s first album, was released when he was 17. The title was derived from a neighborhood in his hometown of Waterbury, Conn. After the huge success of “Can’t Stop Now,” Ingala is currently working on his next album as he approaches his 21st birthday in December. For now, he is enjoying his time on the road. For more information on Ingala, visit www.vincentingala.com.